Day 11 of the Doug Polk’s Bankroll Challenge was somewhat of a downer. The day started with a few well received announcements. First, micro stakes cash game tables will no longer be played during the challenge. Doug decided that after considering the absurdly high rake and his win rate in the past ten sessions. Doug also announced that he not only will stream his WCOOP run in September, but also would play and commentate on the Punta Cana Poker Classic in October. The day started swell, with the return of the Twitter Strategy Q&A and and the much loved Sit and Goes. The bankroll was in the green, starting with a first place in a $5 sit and go. However, after a series of tournament bust outs, an ill timed four table grind and a tournament bubble at the tail end of the stream, the bankroll spiraled to $351. Doug finally announced that he would need to go down in stakes for the next session. The lack of cash game tables on day 11 meant that he had to play more high variance sit and goes than planned. He fixed this problem for the day 12 stream by registering and playing in four tournaments before the official start of the session. The tournaments ranged in buy ins from $1 to $3, temporally walking away from the $10 tournaments after the previous day’s poor result. Someone in the Twitch chat asked him for his bankroll strategy. Doug explained that he is being more aggressive than what he would recommend to the average player because he has an edge on this games. 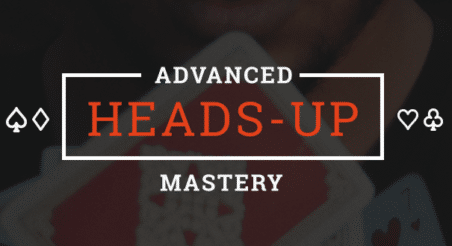 For the average player, who has a limited bankroll, The Upswing Poker coach recommends a 50 to 100 buy-in strategy for tournaments and a 30 to 50 buy-in strategy for cash games. As the session continued, tournaments turned into sit and goes and then back to tournaments again. The first half of the stream saw multiple sit and go cashes happening back to back while the bankroll was barely affected by the bustouts. Moving down in stakes proved to be the right choice, even if it was an unpopular one among the chat. Doug stopped the action for a minute to discuss the future of his YouTube and Twitch channels. Doug announced his intention to stream 80% to 90% of the year, including the WCOOPs, and the bankroll challenge. He continued expressing his admiration for other poker streamers and video content creators but noted that not one of them has achieved recognition outside of the Poker community, with the possible exception of JCarver. Doug sees this as a challenge and wants to be the first to achieve that task. Note: Doug gave his followers on Snapchat a heads up on the time and date of the giveaway. It pays to follow Doug on social media. In case you’re interested, his Snapchat name is WCGRIDER. Congratulations for the amazing amount of free money to Arkrodevil!!! Thank you for the support. @DougPolkPoker Last stream (cash) u cbet A7ss otb vs sb flat on T63hhh. Doesn’t lab advocate cking/giving up ui vs turn bet (C4)? Summary of Doug’s answer: When Doug is playing on stream, he plays a good game but not his best. He is very careful about the information he gives out, as high stakes poker players are always looking for new edges and ways to exploit each other. It pays to be a bit paranoid with your information in the high stakes world. If you are watching the stream to get better, you will probably find some value in it, but it’s not an accurate representation of Doug Polk’s complete, usual strategy. As to this specific hand. The small blind is not likely to have many flushes. If you think about the way they are playing pre-flop, a lot of the hands that are going to call and are suited have a ten in it. All those hands won’t have flushes. He could have an Ax of hearts, though those hands are generally raised pre-flop so he’s not likely to have the nut flush or a middle flush. Overall, he is not likely to have too many strong hands, so looking to bluff a bit more, especially for this small sizing, is good. Remember to send your questions to @DougPolkPoker as soon as the segment is announced. Usually only the first few questions receive an answer. By the start of the third hour, Doug was deep in the final table of a $2 tournament, while also playing a $3 with a $400 guarantee. The bankroll now stood at a promising $341. It seemed like that Upswing was no longer ‘‘just around the corner’’. Doug also took the time to mock the myth of the unbluffable micros as he bluffed his opponents over and over again. Fifty minutes later, he lost the final table heads up match against the nittiest player ever. It wasn’t all bad, however, the bankroll now at $391. By the fourth hour, however, Doug managed to double up more than a few times in the final $3 tournament, finishing in 15th. He cashed for around $16 bringing the bankroll up to $407.